For nearly 70 years Guide Dogs of America has brought independence to blind and visually impaired individuals from across the United States and Canada. New stories of companionship, confidence and empowerment emerge from each graduating class of guide dog teams. 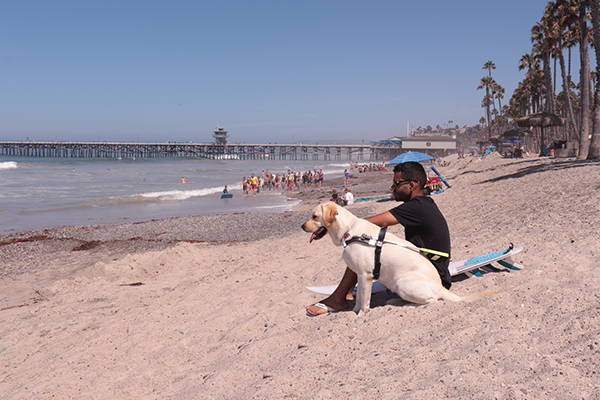 One such inspiring story is that of blind surfer Derek Rabelo and his guide dog Serenity. Do you know someone who can benefit from a GDA guide dog? Guide Dogs of America provides expertly matched and trained guide dog partners to qualified recipients free of charge. Learn about the Student Application Process or spread the word to someone you know. They might become the next GDA story of independence.